The Legislature hasn’t begun its floor debate on the K-12 budget proposal — that’s one big piece of the work left to do, as lawmakers hope to wrap up the 2014 session this week. But state Rep. John Gannon, D-Boise, weighed in Monday. At $1.37 billion, the K-12 budget would represent a 5.1 percent increase from 2013-14 — the largest increase since 2007. But the 2014-15 budget would still lag $43 million below the original K-12 budget from 2008-09, and Gannon says the gap is even wider than that. He says the budget fails to keep up with rising enrollment, health care cost increases, inflation and the cost of training to meet the new Idaho Core Standards. Accounting for these variables, Gannon estimates that the 2014-15 budget is nearly $169 million behind 2008-09 — or nearly four times as much as the actual difference in dollars. Legislative budget writers met with Boise School District leaders Tuesday to get a sense of how the public school budget affects large districts. Topping the list is the teacher pay bill, which provides teachers a 1 percent raise, $15.8 million in leadership “premiums,” and a boost in starting salary. Still sitting on Gov. Butch Otter’s desk: a bill to provide teachers a 1 percent raise and $15.8 million in leadership premiums. Otter has until April 4 to act on the bill. Democrats lead opposition to the school budget bills, saying the state still lags 2009 spending levels by more than $100 million. 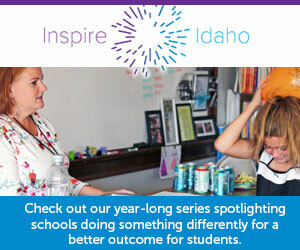 Patrons in 35 school districts approved school tax levies Tuesday, but many of these communities are “stretched extremely thin financially,” Idaho Education Association President Penni Cyr said Wednesday.